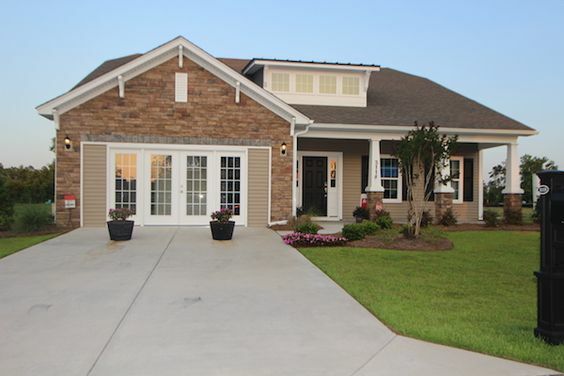 The community of Clear Pond at Myrtle Beach National is new construction homes by Lennar. The builder prides itself in offering homes that have everything included,meaning what you see in the model homes will be included in your home. 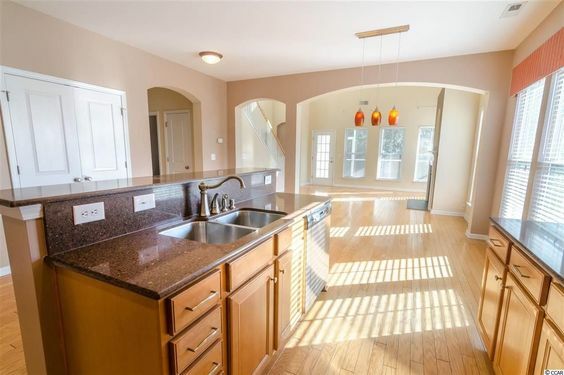 These include tile and wood flooring in living spaces, stone countertops in kitchen and bathrooms, 42-inch cabinets, stainless steel appliances, Moen faucets, crown molding, chair railing, and wainscoting in formal dining area, plantation blinds, natural gas fireplace, tankless water heater, to name a few. Read more about Carolina Waterway Plantation real estate. 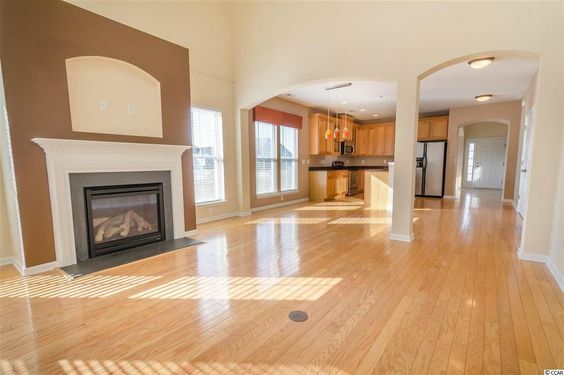 The homes in Clear Pond come in 3, 4, and 5 bedroom floor plans with 1,400 to nearly 3,000 heated square feet. The homes have front porches and screened in porches or covered porches on the back of the house. Residents can enjoy a round of golf at Myrtle Beach National or King's North golf courses that are both nearby. Clear Pond at Myrtle Beach National is less than 8 miles from the sandy beaches of Myrtle Beach. Shop at the Tanger Outlets, there's something for everyone. The neighborhood is also close to Coastal Carolina University and medical facilities. Clear Pond prices start in the low $200s. Single and two-story home options are available. Available amenities include a pool with a clubhouse, fitness center and a playground. Clear Pond is also conveniently located near 501. Call our office today to schedule a visit and to get the most updated listings.